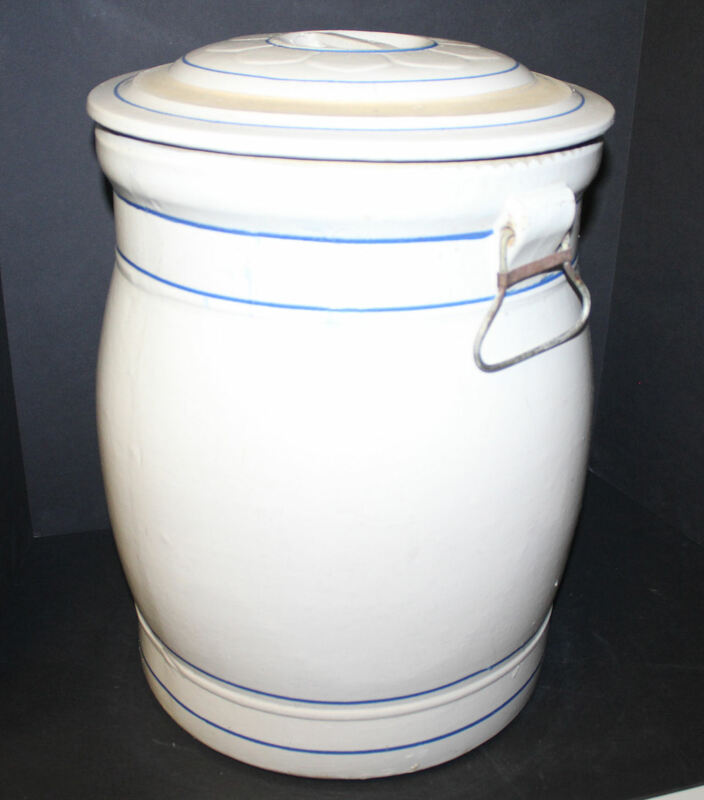 Red Wing Stoneware Water Cooler – 10 gallon in very good condition. Has a 4 inch red wing and underneath has a blue oval stamp that reads Red Wing Union Stoneware Co. RedWing, Minnesota. The lid has a 10 W on it and is in good condtion. Measures 20″ height, diameter 14″ at top. No cracks or chips.